"Nobody" has seen an Austrian Raion yet - thats why there are more rumors than facts about them. 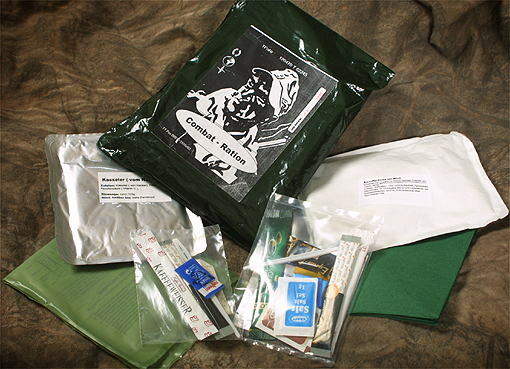 are no information how a real Austrian Ration will looks like. Another "maybe" I got on ebay Germany. 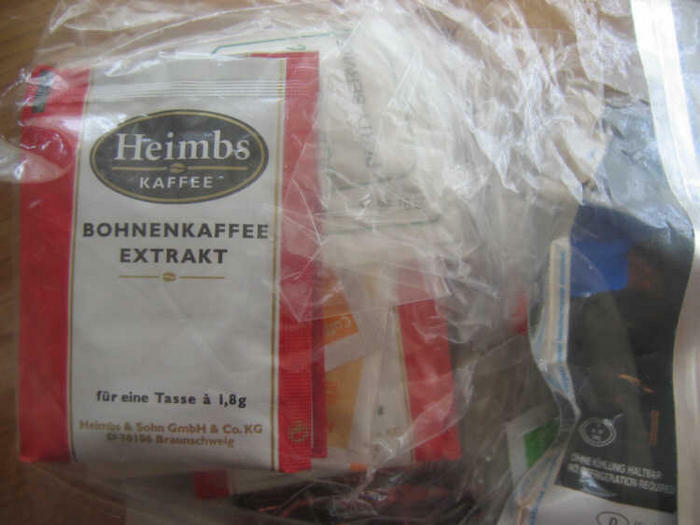 The seller promised a "genuine Austrian Ration". 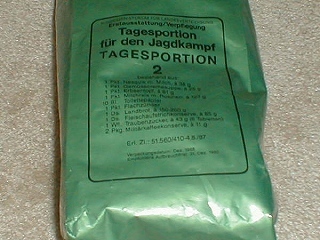 the same as used in the German EPa leicht (1st generation). 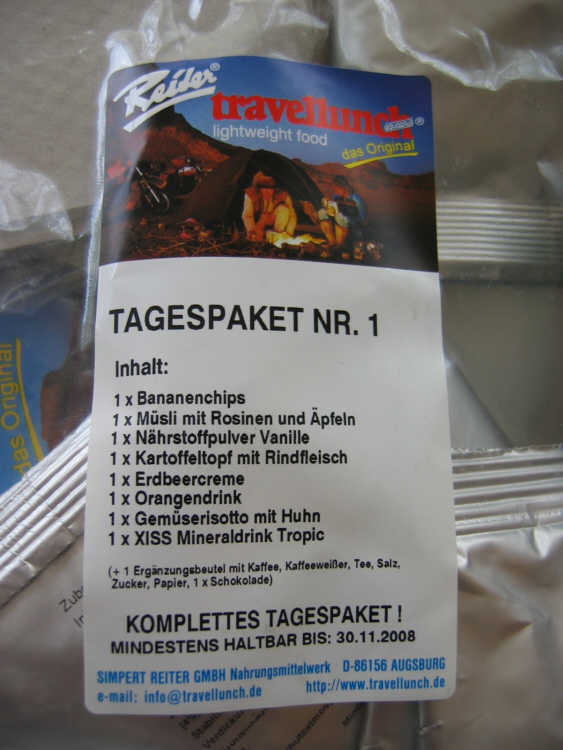 The label say´s "Tagespaket" on it - it is the Austrian name for a 1-day-ration. but it has a "best before" date on it. Very unusall for a military one. I called the manufacturer in Augsburg, asking him some questions. 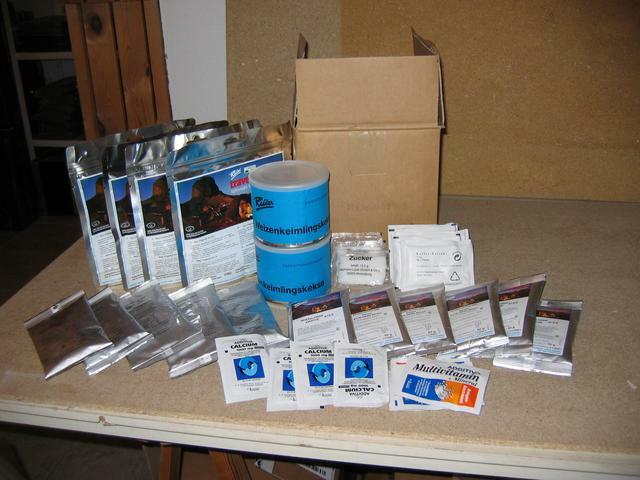 They replyed that their company is producing for "several armies", but can´t give any furter information. If you remove the red card board label - it´s seems the same. 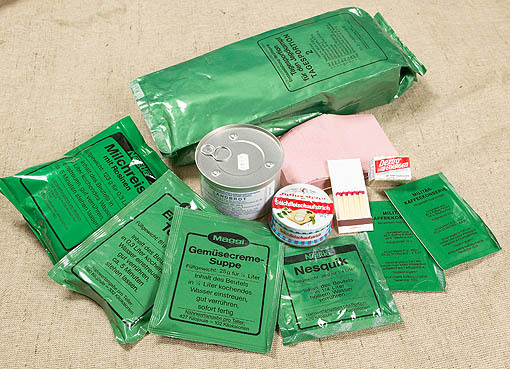 So the hunt is on for the fabled and elusive Austrian ration! kman wrote: So the hunt is on for the fabled and elusive Austrian ration! Nice detective work inspector Housil!! More tea for your holy grail?? 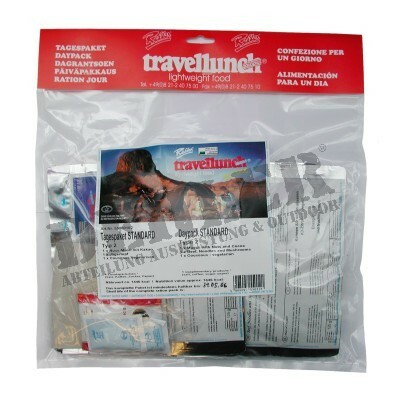 I got some pics of the bags,that's about it. I doesn't show any contents. I got anothe pic...but I'm not sure if is austrian or german?? was sold from some "smart" guy, ripping off collectors. 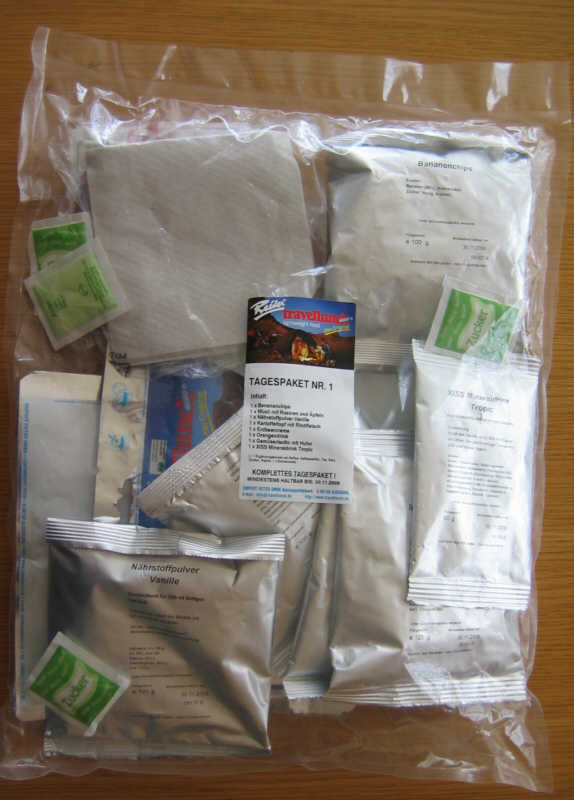 It is devenitively a home made fake ration. The label was made on a ordenary printer, showing a WWII German Wehrmacht soldier. If contains some ordenary supermarket crap. you are right, say´s "Tagesportion für den Jagdkampf" and is a genuine one. But the Austrian Army also changed to Reiter Travellunch. I also know that asian page with that ration. 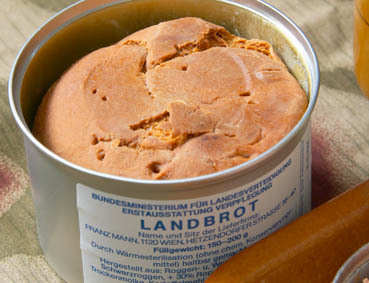 The label of the canned bread say "Bundesministerium für Landesverteidigung" (= Deparment of Defense ) and I guess this one will be a genuine, former, Austrian one. 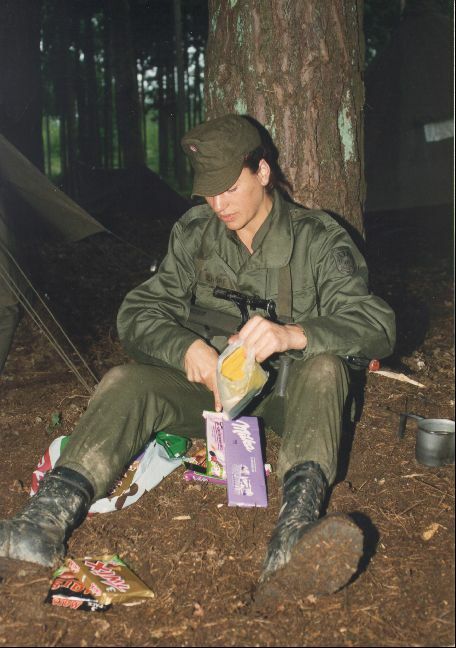 I read in a Austrian Ration forum, that also the soldier didn´t got the ration. They got all ordenary (civilian) food supply, never a Tagesportion. Maggi is a nice company that makes instant soup and cooking flavores boullions....is Knorr's competition. Back in Puerto Rico we used those a lot....yum!! Have a good one, Kammarad! "Remember grasshopper, THE LUCK ABSORBS THE OLD WOMAN BALL TEMPORARILY"
oletroop can probably cough one up, as long as you pay for it, with super insured payment and shipping. So i guess the Austrian war-machine runs entirely on candybars? bl00k wrote: So i guess the Austrian war-machine runs entirely on candybars?